This article provides a suggested Myanmar itinerary and map for two or three weeks in Myanmar: where to go in Myanmar, places to visit in Myanmar, Myanmar hotels and what to do in Myanmar including cities like Mandalay, Bagan, Yangon, Hpaan and many more for a memorable trip on a budget. I have very fond memories of Myanmar, it had turned out to be one of my favorite destinations. Thanks to friends, we’ve had lots of great suggestions and thoroughly enjoyed three delicious weeks in beautiful Myanmar. The smiles of the Burmese people really brightened up our day. Get ready to fall in love with this country and its people (and to visit many, many stunning temples). We were told that it was quite expensive to travel in Myanmar but we found it to be quite manageable; though accommodations are definitely more expensive than any other country visited so far in Asia. Tip: you can always bargain for the price of the room and when you do, make sure there aren’t other customers around to hear the deal you’re about to get! Currencies accepted in Myanmar are US Dollars the Myanmar Kyat –we paid most hotels in dollars and for small expenses we paid in Kyats. When paying in dollars, you’ll most likely get Kyats back. At the time of our visit USD $1 = Kyats 975, best exchange rate you’ll get will be from new, crispy USD $100 bills without any tears, marks or folds. Our first stop in Myanmar and we were not disappointed. There is an abundance of things to do in and around Mandalay: going up to Mandalay Hill to visit the temple and witness a gorgeous sunset overlooking the city, visit the many different but equally beautiful temples, hop on a boat and visit the nearby villages of Mingun, visit the U-Bein Bridge and the Maha Aung Mye Bon Zan Monastery. A great introduction to Myanmar. Spend 3 days in Mandalay. Temples, temples and temples. Beautiful landscape, riding around town (and temples) on your bicycle or while riding a horse carriage, Bagan is a must visit when in Myanmar. Scout the perfect spot for sunrise and sunsets and grab a picnic! Spend 3 days in Bagan. A 2-day-1-night or 3-day-2-night trek from the town of Kalaw to Inle Lake. Back to nature: with a guide, who will provide food and accommodation, you’ll walk through the hills of Myanmar, visit different villages, sleep in a monastery or in a local’s home, and arrive in Inle Lake where you can spend a couple of days to visit the beautiful surroundings. Though I was apprehensive at first about a two-day trek, it was one of the most memorable experiences we’ve had. 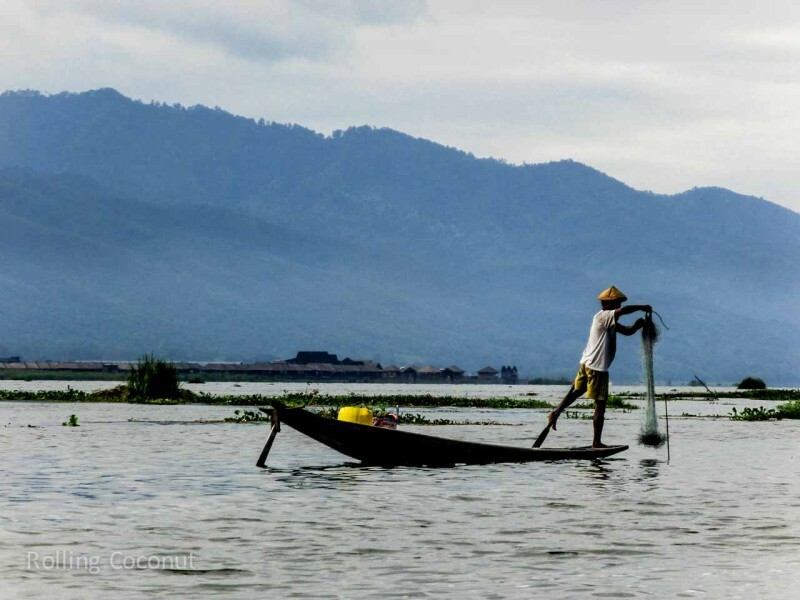 Based on your own trekking preference, spend 2-3 days trekking and spend 2 days in Inle Lake. The new capital of Myanmar. Though many Yangon residents were relocated to the brand new and modern city, it still appears to be empty. Impressively empty. Spend half a day in Naypyidaw. A beautifully calm and quiet town. We spent a day in Mawlamyine, found a local “café” where the locals hang and spent time with them. Took a ride out to visit the World’s largest sleeping Buddha. Spend 1-2 days in Mawlamyine. Another favorite of mine. Small but magnificent town where we opted for a day tour (the one and only time we did that in Myanmar) and had the best of times visiting karst mountains, swimming in public natural pools and venturing into caves. Another highly recommended place to visit. Spend 2-3 days in Hpa-an. The Golden Rock, perched off a cliff and one of Myanmar’s most sacred Buddhist site, supposedly sits atop one of Buddha’s hair. We had to see it for ourselves – well worth the journey. Spend 1 night at the top of the Golden Rock and go back down in the morning, that way you’ll be able to see it at night and day. The old capital of Myanmar. A lot of travelers suggest to skip the fast-paced city but frankly, I would say that as a traveler, you have to see Yangon for yourself, at least to see the Shwedagon Temple but there is no need to stay more than one or two days in the bustling city. Spend 1-2 days in Yangon. I would advise to spend more time in nature than in the city. Do a “cruise” from Mandalay to Bagan along the Irrawaddy river or do the 3-day-2-nights trek instead of the 2days-1-night, or spend more time in Hpa-an. I personally think you’d enjoy it more than being in the hot and loud city, though it has a charm of its own. Myanmar is definitely a place to visit now before it gets too touristy, like most countries in Southeast Asia, and a place we already look forward to go back to. What other places would you recommend ? Share your travel stories with us ! This entry was posted in Myanmar, Travel Tips, Travels and tagged Itinerary. Bookmark the permalink.